Brazen served on the Armilla Patrol which became a taskforce during the Gulf War. For this she received the battle honour "Kuwait 1991". During the war, her Lynx helicopter attacked fast patrol boats. Following a patrol in the South Atlantic Brazen ran aground in the Patagonian Canal on 11 September 1994. The ship was refloated four days later and taken to Talcahuano for repairs, which lasted a month. She then returned to the UK under her own power for reinstatement of combat system equipment damaged in the incident. She was purchased from the United Kingdom by the Brazilian Navy on 18 November 1994, and renamed Bosísio. The ship was commissioned into the Brazilian Navy on 30 August 1996. In June 2009, Bosísio participated in the recovery mission for the wreckage of Air France Flight 447. 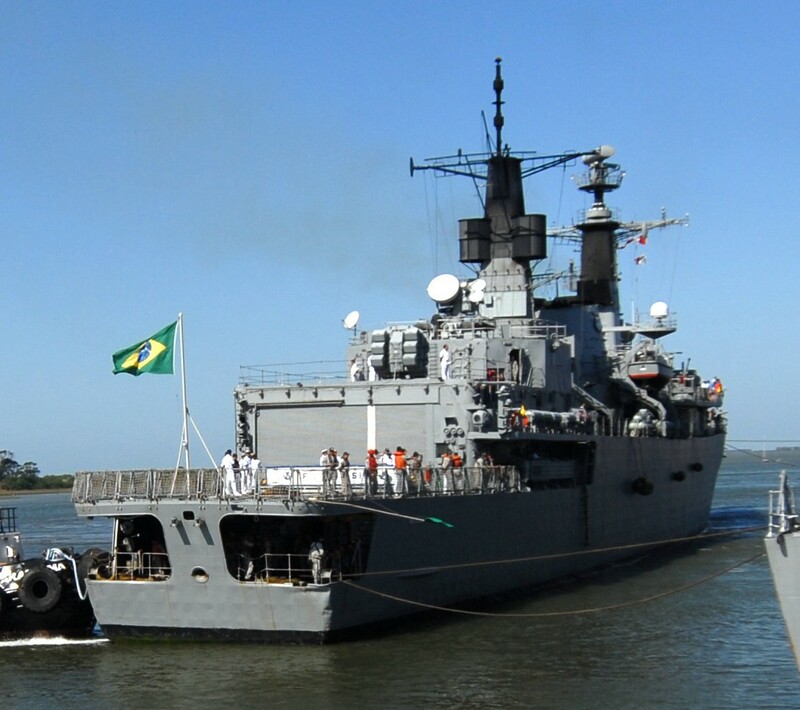 She decommissioned from Brazilian navy service on 23 September 2015.